[T]his could be the opening for a plan to dramatically transform and downsize the government in a common sense way. Much of this will be in the hands of the OMB director. That would be Mick Mulvaney. Mulvaney was a conservative congressman with a business background and a reputation as a fiscal hawk. Now his report may very well remake the government. The Executive Order on a Comprehensive Plan for Reorganizing the Executive Branch is bulky title. But its potential is even bigger. Here’s why. In short, this could be the opening for a plan to dramatically transform and downsize the government in a common sense way. Much of this will be in the hands of the OMB director. That would be Mick Mulvaney. Mulvaney was a conservative congressman with a business background and a reputation as a fiscal hawk. Now his report may very well remake the government. Trump’s victory means the left can’t jam its policies down on the whole nation—and gives it the incentive to develop policies acceptable not only to its own base but with voters among whom it fell agonizingly short this year. Now the cover story is different. Time has just announced, inevitably though a bit begrudgingly, that its Person of the Year for 2016 is Donald Trump. No mention of New Deals or socialism. It’s not surprising that newsmagazine editors expected a move to the left. The history they’d been taught by New Deal admirers, influenced by the doctrines of Karl Marx, was that economic distress moves voters to demand a larger and more active government. There was some empirical evidence in that direction as well. The recession triggered by the financial crisis of 2007-08 was the deepest experienced by anyone not old enough to remember the 1930s. Barack Obama was elected with 53 percent of the popular vote—more than any candidate since the 1980s—and Democrats had won congressional elections with similar majorities in 2006 and 2008. Leftist politicians supposed that ordinary voters with modest incomes facing hard times would believe that regulation and redistribution would help them. Evidently most don’t. The rejection was apparent in the 2010 and subsequent House elections; Republicans have now won House majorities in ten of the last 12 elections, leaving 2006 and 2008 as temporary aberrations. You didn’t hear Hillary Clinton campaign on the glories of Obamacare or the Iran nuclear deal, and her attack on “Trumped-up, trickle-down economics” didn’t strike any chords in the modest-income Midwest. Republican success has been even greater in governor and state legislature elections, to the point that Democrats hold governorships and legislative control only in California, Hawaii, Delaware and Rhode Island. After eight years of the Obama presidency, Democrats hold fewer elective offices than at any time since the 1920s. Things look similar abroad. Britain’s Conservatives, returned to government in 2010, are in a commanding position over a left-lurching Labour party. France’s Socialist president, with single-digit approval, declined to run for a second term. European social democratic parties have been hemorrhaging votes, and got walloped in Sunday’s Italian referendum. In Latin America and Asia, the left is declining or on the defensive. Overall history is not bending toward happy acceptance of ever-larger government at home. Nor toward submersion of national powers and identities into large and inherently undemocratic international organizations. The nation-state remains the focus of most peoples’ loyalties, and in a time of economic and cultural diffusion, as Yuval Levin argues in his recent book The Fractured Republic, big government policies designed for an age of centralization have become increasingly dysfunctional. Barack Obama doesn’t seem to have noticed this, at least until some time between nine and ten o’clock election night. Shrewder center-left politicians who have shown they know how to win elections have. Bill Clinton urged his wife’s campaign managers to put her out in rural areas speaking to voters’ concerns. The thirty-something geniuses she installed in her trendy Brooklyn headquarters knew better. Such advice suggests that a sharp shift in current leftist strategy, which includes “identity politics” appeals to minorities at home and obeisance to the wisdom of supranational entities like the Paris climate changeconference and the European Union. What’s missing in that is a concentration on the interests of one’s own citizenry. To the left that smacks of nationalism, which some seem to regard as only a baby step away from Nazism. It’s not. The United States Constitution was designed to provide a framework in which rights are guaranteed and voters in states can choose policies in line with their different backgrounds and beliefs. 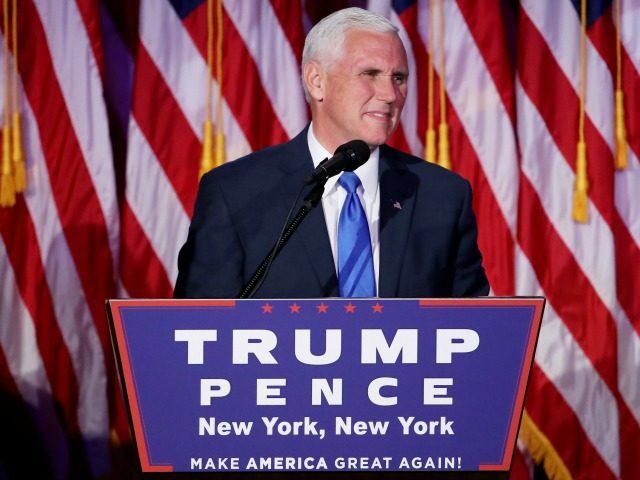 Vice President-elect Mike Pence is heading up President-elect Donald Trump’s transition team, assembling a new administration after Trump’s victory earlier this week. New Jersey Gov. Chris Christie had been in charge of Trump’s transition, but Pence is taking over and will be advised by members of Congress. Dr. Ben Carson, New Jersey Governor Chris Christie, Former Speaker of the U.S. House of Representatives Newt Gingrich, Lieutenant General Michael Flynn, USA (Ret. ), Former New York City Mayor Rudy Giuliani and U.S. Senator Jeff Sessions will join the team’s Executive Committee as Vice Chairs. The mission of our team will be clear: put together the most highly qualified group of successful leaders who will be able to implement our change agenda in Washington. Together, we will begin the urgent task of rebuilding this nation – specifically jobs, security and opportunity. This team is going to get to work immediately to Make America Great Again. Rick Dearborn will serve as the team’s executive director. Dearborn previously served as Sen. Jeff Sessions (R-AL) chief of staff. Pence will continue to have his top senior advisers, Nick Ayers, Josh Pitcock, and Marc Short, work with him on this process. Just when you think Republican Party leaders can’t possibly get more cynical, more hypocritical or more suicidal, they surprise you. Over the past week, a few dozen prominent Republicans, led by 2008 Republican presidential nominee John McCain and joined by Utah’s Senator Mike Lee and Colorado’s Cory Gardner, dropped their support for Donald Trump and called on Republican voters to vote for other, “down ticket” candidates but not Trump. The New York Times on October 9 published a list of “160 Republican Leaders who do not support Trump,” and newspapers everywhere trumpeted the newest addition to the list. That chorus was joined briefly by House Speaker Paul Ryan, who said he would vote for Trump but would not campaign for him or with him. Ryan also advised the entire Republican congressional delegation to do the same. This betrayal of the party’s presidential nominee by top echelons of party leadership can only be called overt sabotage. Whether successful or not in denying Trump a victory on November 8, it undoubtedly is the opening shot in a civil war that will erupt full scale on November 9. The attempted take down of Trump was explained as an effort to “salvage the dignity of the party” in the aftermath of the public release of a recording of lewd remarks about some women made by Trump in 2005. When asked if the recording revealed anything about Donald Trump they did not know before, they had no answer. It is clear that the party leaders who have jumped ship are using the 2005 video recording as the excuse to do something they had been contemplating since Trump won the party nomination in July. No one citing the recording as an excuse for opposing Trump can say Trump’s lewd remarks are more offensive than the known sexual conduct of former President Bill Clinton — and many other White House occupants. Lewd and crude language is not exactly unknown in the halls of the West Wing, the Rayburn Building, RNC headquarters — or Fox television sound stages. Are the American people turning against Donald Trump because of remarks he made in private eleven years ago? No. Might they turn against him if every Republican senator and congressman attacked him for those remarks? Yes, quite possibly. In that case, what would be the cause of the defeat, Trump’s remarks or the party establishment’s treason? The answer lies in looking at the facts, not Glenn Beck’s self-indulgent rants. 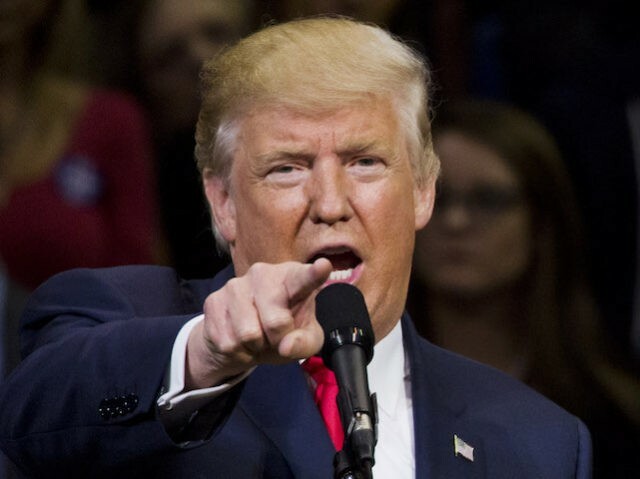 The latest Rasmussen poll shows that 69 percent of voters think Trump’s attitude and remarks about women are either no worse or the same as Bill Clinton’s, and only 23 percent think they are worse. That is a 3-to-1 margin saying it is not an important issue for the large majority of voters. So, if moral Puritanism is not a credible explanation for he organized insurrection against the party’s presidential nominee, what is the explanation? Why this open declaration of war on the millions of voters who selected Trump as the party’s candidate? The actions of Paul Ryan, McCain and the other party bigwigs only make sense if it is a signal of a planned purge of Trump supporters by the US Chamber of Commerce globalists. The hypocrisy of the Republican establishment’s attempted take down of the Trump campaign is astonishing even by 2016 standards. After insisting that candidate Trump take the pledge to support the eventual nominee, many refused to accept the verdict of the presidential nomination process. It took months for Senator Cruz to endorse Trump, and Ohio’s Gov. Kasich is still silent. The other element of hypocrisy is the fear of a Trump victory. After arguing for a full year that Trump couldn’t possibly win and would lead the party to a catastrophic defeat, many of the same Republican leaders saw Trump steadily gaining ground on Hillary Clinton and decided a Trump victory would be even more catastrophic than a defeat. Immigration enforcement, an America First foreign policy, and sensible international trade treaties must not be allowed to prevail over globalist ambitions of the party establishment. Trump had to be stopped. That is why the sabotage did not occur earlier. Trump is only a mortal danger to the establishment if he has a chance of winning. As long as he was losing badly in the polls, the saboteurs could remain silent. But after mid-September when polls started showing Trump in a virtual tie with Clinton and gaining ground in all the “battleground states,” the knives were out. Why do you think the 2005 video was released when it was, when the liberal media certainly had it for months? It is beyond question that the Republican establishment fears a Trump victory more than a Trump defeat. They are more comfortable with Hillary Clinton in the White House than Trump. Only people who have been living on another planet for the last 18 months believe that Washington insiders are opposed to Trump because of his crude language or alleged chauvinistic attitudes toward women. So the Republican civil war is under way. Whether Trump wins or loses, the party establishment will use every weapon in its arsenal to purge the party not only of Trump’s policy ideas but Trump’s followers as well. On November 9, the order of the day will be — business-as-usual. The party establishment and its allies in the Chamber of Commerce and the media will be working overtime to guarantee there will be no recognition or acknowledgement of the patriotic rebellion against the “go along to get along” mentality of Republican lawmakers that fueled first the Tea party revolt in 2009-2010 and then the Trump bandwagon. What the Republican establishment does not understand or will not accept is that Donald Trump is only the symptom, not the cause, of the grassroots rebellion against establishment thinking. Donald Trump gave voice to those concerns, those very justified concerns, about our nation’s direction and our nation’s very survival. Donald Trump the man and Trump the candidate has flaws and warts and weaknesses that were understandably exploited by opponents. But win or lose on November 8, the grassroots rebellion that fueled the Trump campaign will continue.